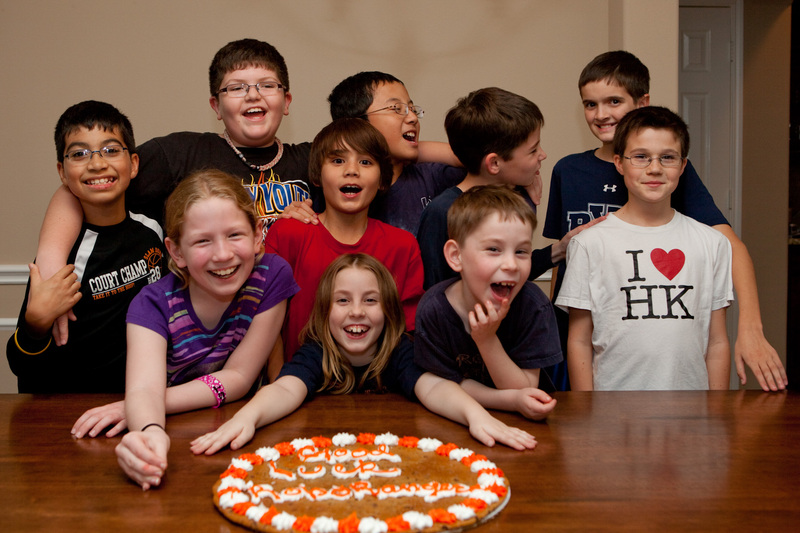 The RoboRangers are a neighborhood team of 9 classmates and friends from Katy, Texas. 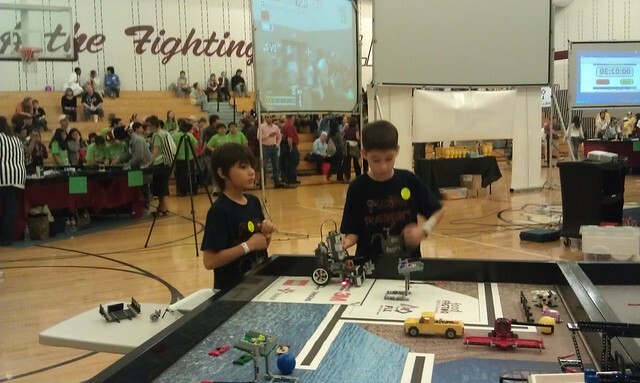 They competed in FIRST LEGO League (FLL) robotics for 4 seasons. The RoboRangers were invited to the North American Open Championship in Legoland in 2013 for the Senior Solutions season and to the FIRST LEGO League International Open Championship in Toronto in 2014 for Nature's Fury. Tomorrow is the big day…the RoboRangers are headed to the 2011 South Texas Championship Tournament. The team practiced a few more robot runs and their skit. The evening was topped off with a cookie cake. Good Luck RoboRangers! This entry was posted in FIRST Lego League, Food Factor, Houston, Photos, Team meetings and tagged championship tournament, FLL, Food Factor, Houston, Houston FLL, Roborangers, robot. Bookmark the permalink. We're competing in Toronto, Canada!! !